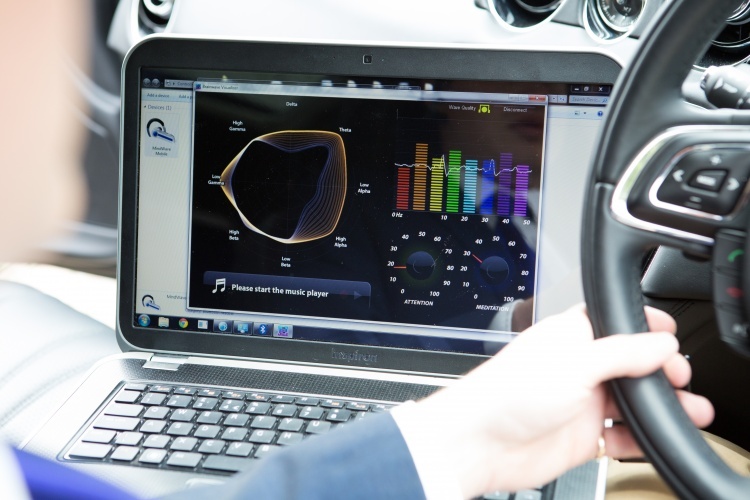 Jaguar Land Rover (JLR) has unveiled a new research project named Mind Sense that is exploring the possibility of using brainwaves to gauge driver concentration and improve vehicle safety. At a technology showcase at the company’s Gaydon test centre, JLR explained how it hopes to monitor brain activity through steering wheel sensors, using an on-board computer to analyse the data. “One key piece of new research is to see how we could measure brainwaves to monitor if the driver is alert and concentrating on driving,” said Dr Wolfgang Epple, Jaguar Land Rover director of Research and Technology. Human brains continually produce four or more distinct types of brainwaves that operate at different frequencies. During daydreaming, theta waves are dominant, and by monitoring their prevalence JLR believes it will be able to detect when driver concentration is waning. Traditionally, monitoring brainwaves has been performed using sensors placed on the head. Recognising that this isn’t practical for driving, JLR is experimenting with sensors in the steering wheel that use algorithms to amplify the signal and filter out the brainwave from background noise. Algorithms are used to amplify the signal and filter out the brainwave from background noise. It is a method used by NASA and the US bobsleigh team to develop concentration in pilots and athletes. JLR says it is working with leading neuroscientists to verify the results of the research, and to establish how accurate measurements from the hands actually are. The Whitley-based company is also exploring a number of methods that could be employed to warn drivers that their attention was drifting from the road. If a loss of concentration was detected, haptic feedback could be given through the vehicle controls, prompting the driver to react. 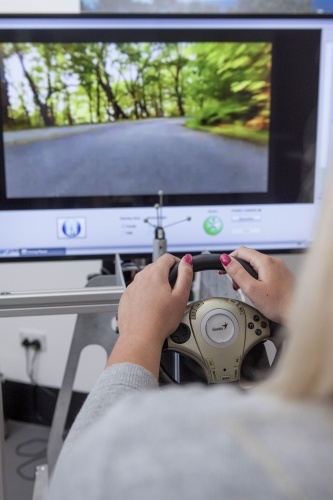 “If brain activity indicates a daydream or poor concentration, then the steering wheel or pedals could vibrate to raise the driver’s awareness and re-engage them with driving,” continued Dr Epple.